These traditional bath taps from our Regent collection are as traditional as it gets. 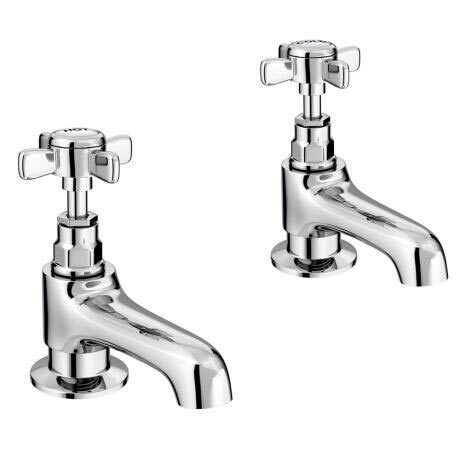 Featuring a simple, long nosed traditional design, these taps are great for home-owners and developers looking to capture the look of yesteryear. The Regent Traditional Bath Taps are constructed from brass and finished with chrome. The entire of the Regent Traditional Tap collection features screw down cartridge valves, and come with a 10 year guarantee. These taps also have a wide range of working pressures, and are suitable for almost any bathroom. We recommend pairing these bath taps with the rest of the Regent Traditional Tap Collection for a complete look. The taps were delivered quickly by the postman no need to wait in for hours on end to sign for them. No problems very happy. The taps were ordered mid day and delivered the next.very pleased with the quality and service second to none I already have recommended you to my friends. Great service - fast delivery. They look fantastic in our new bathroom and easy to fit. Would recommend.